Judge Bernard Ngoepe gave the annual Robert Sobukwe Lecture 2018 at Sol Plaatje University on May 10, 2018. Robert Mangaliso Sobukwe was a prominent South African political dissident, who founded the Pan Africanist Congress in opposition to the South African apartheid system. The leader who died on February 28, 2018 has been having memorial lectures in his honour for the last 12 years. Some of those who have made the lectures include Dr Motsoko Pheko, Prof Shadrack Gutto and several more. 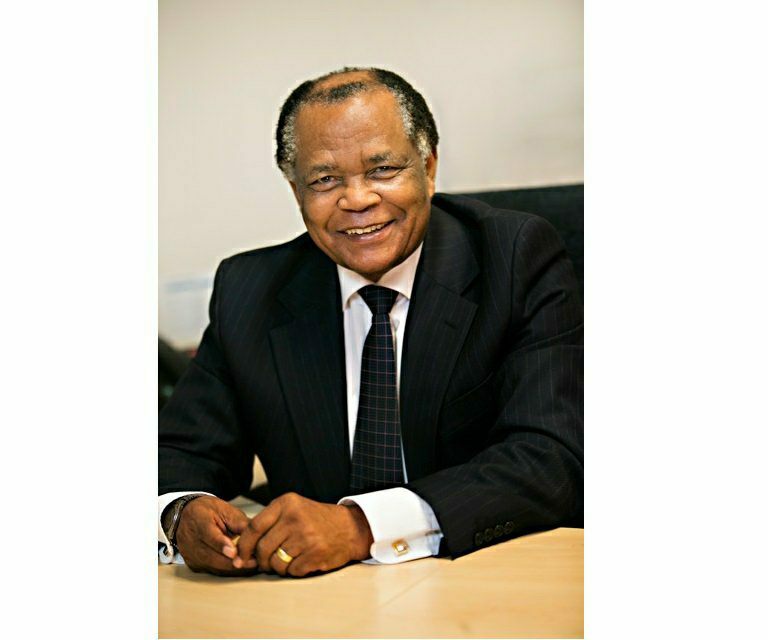 This year the lecture would be delivered by Judge Bernard Ngoepe a South African Judge who previously served as an Acting judge of the Constitutional Court of South Africa. Here is the address at the Sol Plaatje University in full. As a prelude to my speech, I want to recall some of the messages that came through on SAFM radio on the morning of 21 March this year. They provide an interesting context to my speech. Here are some of them: let us honour everybody; ANC did not alone bring our freedom; teach correct history; don’t highjack the occasion; we are where we are because we did not listen to him; do as he preached; what does freedom day mean to us? Is Mrs Sobukwe still alive? She is not looked after; you did not play the voice of Sobukwe, but Nelson Mandela’s; naming the day Human Rights Day and not Sharpeville day is to marginalize Sobukwe; ANC think they are the (only) ones who brought us freedom; no human rights without land; expropriation without compensation took place years ago. Ladies and gentlemen, occasions such as this enable us as a nation to reflect on our past; on our history. The past is an integral part of our present and our future; as Professor Njabulo Ndebele puts it: “The past is knocking constantly on the doors of our perceptions, refusing to be forgotten, because it is deeply embedded in the present. To neglect it at this most crucial of moments in our history is to postpone the future.” Depending on its impact, a past event sometimes refuses to recede to the background, thus continuing to be part of the present. How often do we heard words like, “I still remember it vividly, as if it happened yesterday!” Indeed, sometimes we even swear to carry the event into the future: “I will never forget this for the rest of my life”. But history is useful only if it is honestly recorded; if it is not manipulated or distorted. Yet experience has never ceased to reveal these malpractices. Distorted history has the potential to polarize, and to cause divisions and hate. This is because, invariable, there is a lurking evil motive behind every distortion. History, properly recorded and understood, will enable future generations to know who exactly Robert Mangliso Sobukwe was; what he stood for, and why he was feared and hated by some, while loved and revered by others. Not that he wanted to be revered or rewarded; that is not what he was after. What he wanted was that everyone be allowed to enjoy at least their basic human rights. Properly recorded, history would show that he too played a major role in the struggle against apartheid. History, accurately recorded, would provide points of reference for future generations; that is why distorting it is almost criminal. While distorting history is bad, not remembering it is worse. Our recollection of past events culminates in commemorations, which is fine. But there is a caveat: commemorate properly and appropriately. Without taking sides in one of the debates on the radio, and bearing in mind that we are honouring Sobukwe, let me use the event of 21 March 1960 in Sharpeville, to illustrate the point. Any event sought to be commemorated comprises at least two elements. Firstly, a date, like 21 March 1960 in Sharpeville, to illustrate the point. But let me start with a basic refresher; a very basic one. Any event sought to be commemorated comprises two important elements. Firstly, a date, like 21 March 1960; this tells us when the event happened. Secondly, there must be context around the date; that is, something of significance must have occurred. Otherwise, the particular date on the calendar will come, go and be forgotten, like any other date. Who remembers, say 11 August 1993? If I were to ask you: do you remember 11 August 1993, you would promptly ask: by the way what happened on that date? If nothing comes to mind, that date almost never existed; it has no impact and is of no significance. This is because, as Gülen puts it: “Time and space are innocent.” They are, I contend, neutral to the activities of mankind. Therefore, for any date not to be neutral and abstract, but to get entered onto our calendars every year, to be entered into our remembrance and to be continuously commemorated, something worth remembering must have happened. For example, “21 March” is each year marked on our calendars for commemoration because many people, 69 in number, were killed by the police and many injured in Sharpeville on the corresponding date in 1960. We must therefore all agree that changing the date “21 March” as the yearly calendar day for the commemoration of what happened in Sharpeville to another date, would be a blatant distortion of history. It would in fact no longer be the same event you claim to commemorate. It would be your own imagined “Sharpeville Day”. The date “21 March” as an element in the commemoration is therefore immutable; just as “16 June” is with regard to Youth Day. We must therefore agree that it is not permissible to change or, as it were, “modify” the date. But is it permissible to temper with the second element of a commemoration, namely, the nature of the event as a context or subject of the commemoration? You may do so, provided the true nature of the event sought to be remembered, is not lost; otherwise that would also amount to distortion of history. You might end up not commemorating what happened in Sharpeville on 21 March 1960 at all, but something else. It is against this background that some of the comments on the radio should be understood. For a commemoration to be proper and appropriate, for it to serve its true purpose, none of the two elements should be compromised; the event must be properly referenced and contextualized. The date of the month on which the event remembered occurred cannot be changed; and, secondly, the event sought to be remembered must be properly referenced; properly referenced in the sense that the nature of the event which occurred on that day is not lost; absent one or both elements, you would be commemorating something else. Ladies and gentlemen, every country has its own unique history to tell; that, at one time or the other, it faced adversity. But amongst its people, there are always men and women with the capacity to enable the nation to rise to these challenges and triumph. But who are these people? Gülen speaks of two kinds of people: those he calls “useless people” on the one hand, and, on the other hand, those he calls “People of Service”. As for the first category, says he of them “The stomach expels food that cannot be digested and has no benefit (to the body) …. Time and history does the same to useless people”. He says “People of Service” are those who “understand that they are responsible and answerable for work left undone … They are extra-ordinarily resolved and hopeful even when their institutions are destroyed, and their plans upset, and their forces routed”. Ladies and gentlemen, these are the people who do not give up; they stand up and pick up the spear again. We have been gifted with such people; amongst them Sobukwe. A look into our recent history as a nation, will show that some good can arise out of tragedy; the tragedy of the abominable policy of apartheid. The resilience of the majority of the people of all races who were against it, was tested to the limit, but prevailed. It brought together people of different ideologies; it glued together Africans, so-called Coloureds, Indians and whites; it glued together men and women; the young and the old. Yet, as Mandela once put it, ironically, painful as it was, the struggle against it produced great men and women. It afforded them the opportunity to demonstrate their vision and courage of conviction. Painful and pleasant memories ladies and gentlemen, compete for space. Is there room for both, especially room for painful ones, as the life of our young nation continues to evolve? The answer is, yes; there is space for both. This is so because both of them are lessons for the future; they are part of the present; they shape our perceptions. As they jostle for space in our lives, they present a nation the opportunity to consider options in ordering its affairs; present and future. They help us make informed decisions, guided by wise hindsight. Perhaps that explains why people say we in South Africa have come out with the best Constitution in the world. This is because as we drafted our Constitution, we had on the table the vivid picture of our horrible history, including 21 March 1960. Without those painful experiences in the past, we might have defaulted on a good Constitution. That hindsight continued to dictate our nation’s path once the Constitution was in operation. The great task of properly interpreting the new constitution, and applying it, still lay ahead; a task that was to be as difficult as the drafting itself. Again, hindsight, our tragic past, played a role. We could not interpret the Constitution with our eyes closed to the past. As the late Chief Justice Mohammed reminded us, the objective of the new Constitution was to make a clean break with our tragic past; the past that we all knew; the past that we must all know, whether you are a “born free” or no “born free”, the past which future generations must know. Speaking of interpreting the Constitution, we have, in the mind of others, been, as it were, “over-influenced” by the horrors of the past; that we have in some instances been “over-liberal”, “over progressive”, etc. As I once said, some say we have in some instances gone overboard; to such an extent that we have become so permissive a society that once anything is permitted anywhere in the world, you can be sure it is permitted in South Africa; but that what is permitted in South Africa, would not necessarily be permitted in other countries. History is to be shared. Some of us are in a generation that has direct experience of the painful past, of the difficult transition, and the not so wonderful present; the past experience of being barred from entering certain areas, premises, or indeed, even to spend a night in the then “Orange Free State”. Therefore, it behoves us to share those experiences with younger generations; not to nurture division and hate, but to enable them too, to navigate the present and the future. We may choose to share the past by passing it down through word of mouth around fire places – itself a practice of respectable antiquity – or by recording it; but for goodness sake, let us pass it down to future generation. We cannot afford to wipe out of our history, the likes of Sobukwe. In fact, that is what he meant when he warned that Africa would never forget. Robert Sobukwe would understand that nobody and no organization could legitimately take credit for our victory against apartheid to the exclusion of other people or organizations. Doing so would amount to a mischievous distortion of history. Such a perception would demonstrate lack of understanding of the dimensions of the struggle against apartheid. The late Judge Higginbotham, a great African America, once chided a member of the South African Student Organization back in 1982, in my presence, for thinking that we could win the struggle without outside help. Higginbotham, himself a contributor to our struggle, challenged him to name one country in the world which had won a struggle against oppression without outside help. The struggle against apartheid belonged to all. No particular event singularly turned the tide. The triumph was the result of an accumulation of events, such as Sharpeville, and of the concerted effort and sacrifice by many people, of all races such as, yes, Sobukwe. That is what he would have understood; he would not take the credit for himself or for his organization. From Sobukwe, we have come to learn that while you may restrict or even take away a person’s physical freedom of movement, you cannot imprison their freedom of the mind. Gülen puts it this way: “Many people who are actually imprisoned or in chains remain free in their conscience and so do not feel their imprisonment. Many others, however, do not taste the true meaning of freedom although they inhabit the vast spaces of palaces and gardens”. I have given an example in the first category; as for the second category, we have people who have bought palaces with large gardens even abroad with ill-gotten monies, but are not free; they are in hiding; jumping from one country to the other. I have never had the privilege of meeting Sobukwe in person. I do not, for that deprivation, resent the fact that that could be the result of the age gap between us. But what I and many others do resent, is that the deprivation was the result of him being kept away from us by a vicious system. But for that system, this country could have been better than it is today, because many young men and women would have learnt so many things of virtue from him; the gospel he preached could have been spread wider, and understood better. The opportunity was lost to learn at the feet of a great teacher; not only an academic, but a teacher of values. It was not for nothing that they affectionately nicknamed him “Prof”. Did he meet the strict criteria set by the Chinese philosopher, Mencius, for a great teacher? Mencius says: “A gentleman teaches in five ways. The first is by a transforming influence like timely rain. The second is by helping the student to realize, his virtue to the full. The third is by helping him to develop his talent. The fourth is by answering his questions. And the fifth is setting an example others not in contact with him can evaluate. There are the five ways in which a gentleman teaches.” Against those criteria, you may want to give the verdict yourselves on the “Prof”. Sadly, there are indications that it us who failed to learn, from this great teacher of life, the values he espoused. In so doing, we have failed him; we have failed ourselves; we might have failed our country and, even more frightening is that we might have failed and betrayed future generations, thereby betraying a nation’s future. The consequences of our failure to learn and imbibe his values are all around us for all to see. People masqueraded as champions of the poor and the masses, when in fact, they were there to serve their own interests and enriching themselves; we have heard of rampant corruption, nepotism etc. We have failed to learn that serving people is not about putting your own interests first; that, it is not even about putting the interests of your political party above the interests of the country. No; it is about putting the interests of the country and the people first. We have the dubious distinction of being a nation with the widest divide between the rich and the poor, despite the resources we have in the country; economic growth has ground to hardly 1%; the number of unemployed runs into millions. Need I say more? He must be turning in his grave. Oh yes, Sobukwe was the founder of the PAC. But there is one mistake we should never make; namely, to try and judge his legacy with reference to the political fortunes, or, more appropriately, misfortunes, of the present PAC. For one thing, his vision was not just for the PAC, for the entire country as well; indeed, for the entire Continent. In any case, who knows what course would the PAC have taken if he had been unchained? Sobukwe was a visionary. He envisioned a democratic country, free of racism and sexism; but at the same, he foresaw that that could not be achieved unless the issue of land was resolved. He knew that central to the struggle was the issue of the land. The calls we hear today, are not new; they are merely echoing what he said many years ago. People may differ on the mechanism to achieve that; but that does not detract from the validity of the call he made many years ago before it became fashionable to do so. I therefore say yes, Sobukwe may be dead; but he is still alive; because his call for the resolution of the issue of land is still ringing in our ears and will continue to do so until the matter is resolved; of course resolved fairly and in accordance with the law of the land. Sobukwe, being the kind of person he was, might have felt he had not done enough for his people by the time he died in 1978. Yet he has played his role. He owes us nothing; absolutely nothing: it is us who remain deeply indebted to him and his dear wife, our mother, which is why the caller on the radio asked whether we were looking after her. For one thing, we have not recognized Sobukwe enough, if at all. No self-respecting nation, no nation that is proud of its own history, fails to honour its heroes and heroines who stood up and took the bull by the horns in the face of adversity. We have not lost our soul for political expediency; or have we? Someone to take up shield and mighty spear. Someone to listen for a call, and then to hear. Someone to cry for freedom, loud and long. For know indeed that God made only one. Previous Previous post: Kayo Chingonyi is Dylan Thomas Prize 2018 winner. Next Next post: Pede Hollist, Hana Kefela kick off Goethe’s Artistic Encounters 2018.